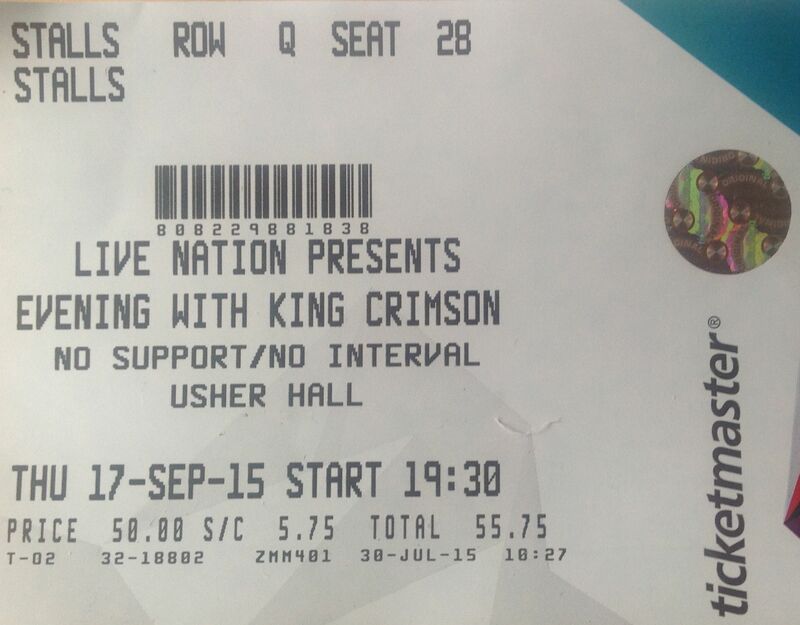 It is more than 40 years since my last King Crimson live experience. The music is a mix of dark, heavy foreboding guitar, mucho drums, very jazzy at times, almost classical at others. The tempo drifts from heavy metal through prog through folk. Robert Fripp sits stage right, wearing headphones, alternating between squeezing strange riffs from his guitar and observing and quietly leading his musicians. I am reminded how unique and ground breaking Crimson were, and are. “Epitaph” takes us back to that classic prog-defining first lp. Wonderful. I am transported back to days of my youth so many years ago, when I sat with friends; we listened to that album in total awe; we discussed it endlessly and took it to school, proudly holding that red cover for all to see. They close with “Starless”. It is 9.30pm. The lights go on. We stand and clap, and cheer, and clap some more. The seven Crimson guys return. They still have not spoken. “Devil Dogs Of Tessellation Row” gives the drummers the opportunity to show their skills. 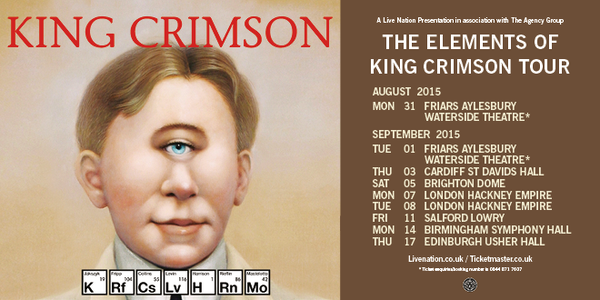 Then Crimson are transformed once again into prog-gods who tell us the exquisite tale of “The Court of the Crimson King”. Finally, the dark fear of the “21st Century Schizoid Man” takes us through a wall of screaming discordant terror to a crashing squealing climatic end. Mind blowing stuff. A note about my drive home. Are there roadworks and diversions every night across the entire country? I always seem to hit them. I have a detour through Scottish villages just north of the border; the A1 is closed near Dunbar. Home at 1am.